Yesterday, I posted something on dogs being fun and cool. And lately, I’ve been harping on the snow that has arrived in Vermont. 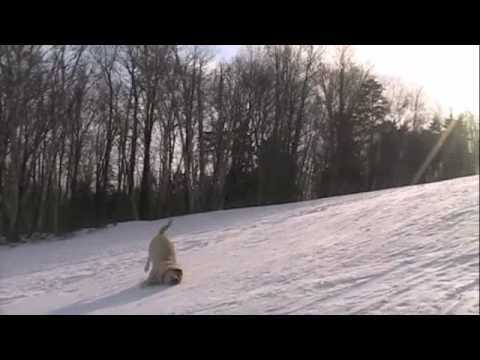 A still from a video of dogs knowing how to confront winter at Sugarbush Resort in Warren, Vermont. So let’s combine the two, shall we? This video, taken last year at Sugarbush Ski Resort in Warren, Vermont, has gone viral. This entry was posted on December 8, 2010 at 9:44 pm and is filed under Uncategorized. You can follow any responses to this entry through the RSS 2.0 feed. You can leave a response, or trackback from your own site. i bet they’d love a sled or toboggan. cool dogs.